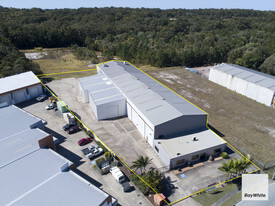 This freehold property is an opportunity not to be missed, located on a main thoroughfare road into Maleny town centre and offering great exposure for a range of businesses (STCA) with a 20m* frontage to this main road. Big Shed - Big Value In C.. Price: $126,834 p.a. + Outgoings.. Highly Desirable Main Str.. Price: $125,000 p.a. + GST (Outg.. Warehouse, Gantry Cranes .. Price: $82,496 p.a. + Outgoings ..